"I just wanted to let you know that the cufflinks arrived and my hubby was thrilled with them! He was very impressed that they were the 'real deal' campag. 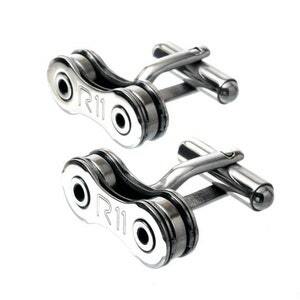 He had a dinner with his cycling team last night to which he wore the cufflinks and they were all suitably impressed! Thanks for a unique gift and the great quality." - Monique M.
"I've received my order today, it's beautiful! I bought it for my boyfriends birthday and I think he will be really love it. Thank you so much for your hard work and amazing customer service. I wish you all the very best!" Rowan A. "Lovely, gift for a friend. Fast delivery to the UK. Many thanks!" Miffy L.W. "Arrived right on time, awesome product with such a cool sentiment. Would definitely buy from your store again" - Brodie M.
"*LOVE* these cufflinks! They were a well received gift by the cyclist in my life :) Great quality, gorgeous little box, and excellent communication from Emma and Ivan. Thank you so much for the speedy shipping and I'll visit again for more treats!" Lisa P.
"These earrings get compliments whenever I wear them!" Kelly I. "This store is fantastic! I contacted them about an order to ensure that I received the larger clock. They were extremely accommodating and were very prompt to respond. When the product was purchased they were happy to send to a different address. The clock was sent promptly. Excellent seller!!!" 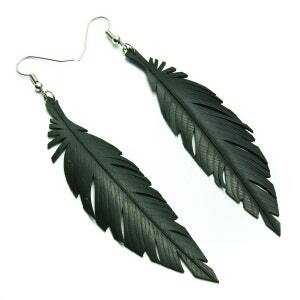 Cassie L.
"Awesome earrings, exactly as described! They seriously look like feathers, sooo cool! Thanks!" Lucy F.
"A very clever and handsome item. My husband loved it. 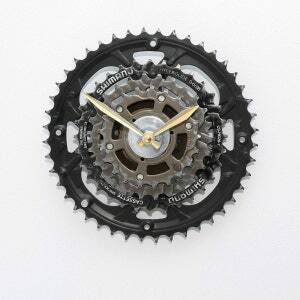 This is the perfect gift for the hard to buy for cyclist. Shop owners very pleasant and communicative, and expeditious in shipping out." Lisa G.
"I was thrilled to snaffle a pair of these, they're such a fantastic twist on the existing black design!" Sarah M.
"Absolutely perfect and just as described. Super speedy delivery too! Would definitely recommend this store!" Claire A. "The earrings are beautiful! I love them! And I know the friend I am gifting them too, will also love them! Thank you!" Trish T.
"Just perfect! Exactly what we wanted and as described" Claudia D.
"I actually gasped when I opened the package and first laid eyes on them. Alluring, and light (if not lighter) than a feather. I am going to feel so special wearing these for an upcoming wedding I'm in." Anna V.
"Love them! Great craftsmanship, and beautifully packaged" Suzanne C.
"Looks great & is different to any other belt" Matthew H.
"This is such a great gift for any biker you know! Great quality and accurate shipping time frame!" Meredith W.
"Fabulous, well made and shipped fast! Thanks so much!" Moina M.
"Beautiful craftsmanship! Love, love, love this belt as a gift for men :)" - Alisha R.
"Looks great! Very excited to give this gift" Ash P.
"Very prompt & efficient. Exactly as described." Matthew H. "...I'm an insufferable vegan. WHAM! Package deal, baby!" Toby M.
"The owners responded to any questions very promptly and kindly. I bought 3 Christmas stars as gifts for bike owners and they loved them!!!" Judy B. "Sturdy, masculine and practical (like me)." Adam Z. "I liked the earrings so much I dyed my hair to match!" 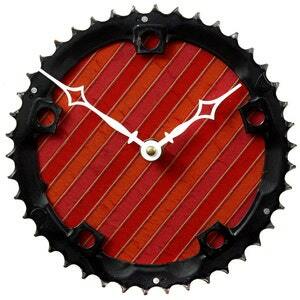 Tamara S.
"Great addition to our Christmas tree for my cycle mad husband. Thank you!" 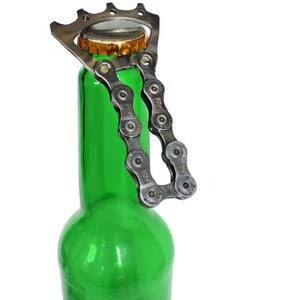 Ashley F.
"Wonderful gift for my bicycle loving groom, they will be a quirky addition to his wedding outfit!" - Liana J. 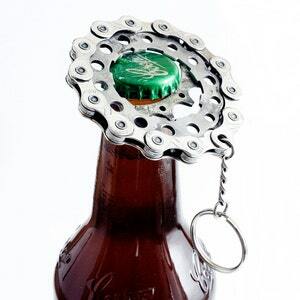 "Great handmade product, delivered speedily" Jessica K.
"Very cute and whimsical way to recycle a bike chain, a great stocking stuffer for the cyclist in my life. Thanks!" Lisa G.
"This clock is so great and this shop is great to work with! Timely responses, timely shipping, great craftsmanship. Highly recommended." Rebecca T.
"Lovely gift for my husbands birthday. The gift box was an unexpected beautiful touch." Cindy M.
"I can't tell you how much I love and get compliments about the pair I have. They're divine" - Louiza H.
"Great product! Looking forward to giving it as a gift." - Dane P.
"Very cute. Nice and light, so it won't weigh the tree branch down!" Roxanne M.
"Shipped quick! Bought this for my cousin who loves bmx and also works on bikes and he was amazed at how they made it he thought it was really cool." - Amanda M.
"Love these bracelets! Wonderfully made!" Crystal L.
"Great item - super fast shipping! Many thanks!" Eric A. "Great earrings, artistic, upcycled & light to wear. Thank you." 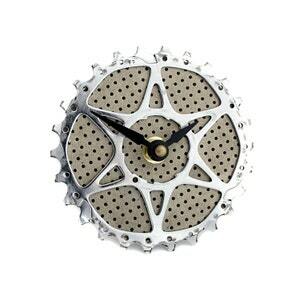 Kerryn R.
"My future husband was thrilled to receive these - so unique and so appropriate for a bike lover! Very quickly sent and received, much appreciated." - Lisa R.
"I love my mine and always get comments on them. The hardest thing is deciding black or blue" - Mandy L.
"Excellent little gift for the cyclist in your life, shipped quickly, good quality." - Alexandra P.
"Arrived and is working beautifully! Thanks." - Lori K.
"Very unique item! Received quickly." Lynsey W.
"So unique and well made. Love it!" Rebecca T.
"Great customer service great item and delivery time was above average" Trish M.
"My husband loves the bottle opener. Took 2 weeks exactly from Australia to Arizona. Thanks!" Ashley H.
"Good quality and fast shipping." Tatyana M.
"Curious item, well made : )" Veneta G.
"Was a gift for my brother, an avid cycler, who absolutely raved about it. Shipping was nicely prompt considering how far it had to come." Lorelie B. "Beautiful, sustainable, lightweight, got a couple of compliments already" Laura H.
"My giftee loved it! It was exactly as described. Since it was a gift, they also very nicely offered to include a note from me with the gift." Katie L.
"My openers arrived really quickly. They are really clever and unique, thanks" Sally M.
"Just what I was looking for. Super fast shipping got it to me in time to give as a last minute gift. Very happy. Thank you!" Jason R.
"Love these!! They are the perfect addition to my quirky collection!" Mara S.
"Purchased this item for my dad for his birthday. He loves it!" 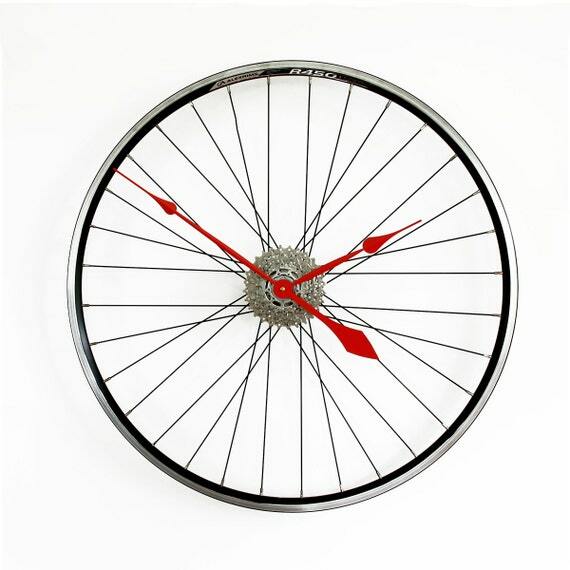 Cyntha M.
"Love the quirkiness of this lovely piece of art for a bicycle man person." Fay P.
"Very unique, love it! Great product" Danielle C.
"Brilliant service. Item arrived as described and was exactly as it appeared in the pictures." Heather W.
"Love my new belt. The blue is FANTASTIC." Kathryn E.
"Love them! Beautifully made, with fast delivery" Adrienne P.